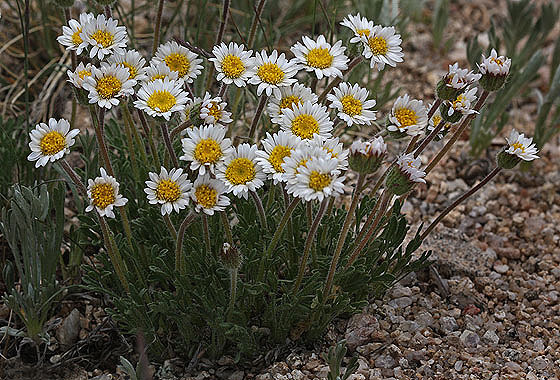 Cutleaf Daisy is one of several white (or sometimes pale violet) daisies growing from foothills to alpine elevations. Leaves are hairy and dissected, hence the name "cutleaf". The involucre (bracts below the flower head) is hairy. 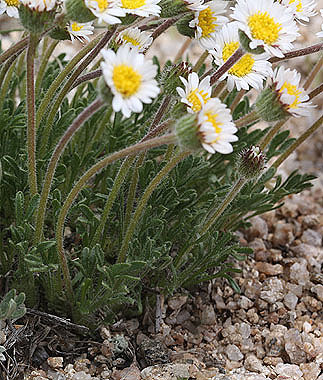 Plants grow in clumps in gravelly or dry areas.